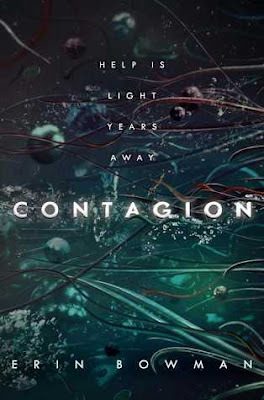 Contagion is that absolutely perfect blend of some of my favorite things, thriller and Sci-Fi. When you think about it thought you have all this awesome Science and tech at your disposal but scary crap can still happen. I love, love the way this story is written. The way we switch from different characters perspectives feels flawless. Every thought and every bit of background only enhances the storytelling. I can’t talk about anything involving the plot! I’m sorry I just can’t. I went in blind and it’s the only way to do it. I was on the edge of my seat for every single minute of this story. Wondering what will happen next and really who are the good guys and bad guys. These characters don’t necessarily even like each other all that much, and don’t always feel guilty about actions they take. It’s interesting and it keeps the plot moving because I didn’t consider anyone predictable. I had my thoughts about things but I felt a need to keep reading to see if anything I suspected would be true or not. As far as the tech and world building. I felt like the tech was not overwhelming and if you are not a normal sci-fi reader you would still really enjoy the story. The world is small that we explore but I felt like imagery was good. I didn’t feel like I needed more than what was given. I really loved this book and I am so anxious for the next one.